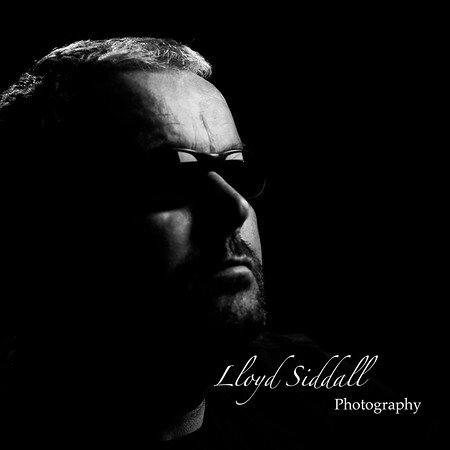 Lloyd Siddall Photography, is based near Sheffield, South Yorkshire. We specialise in Weddings and Portraits photography. We have photograph weddings all over the UK. Our wedding style is documentary. We capture YOUR day as it happens no jumping up and down by us. We also take the required bride and groom shots and the group shots. We have packages ranging from 2 hours (which covers the ceremony, the group and the couple photographs) up to 12 hours of photography (covering the full day from the Brides preperation to the first dance and all in between). Our wedding products range covers, DVD's, USB memory sticks, Coffee table books, Leather Matted albums and our most popular Leather Storybook albums. Our portraits sessions are shot in your own home , so there's no need to go to the studio we bring it to you. We shoot two different styles in your home, either Noir or Blanc. Noir is black and white, the the clothing is black the back ground is black . Its all focused on the expression and the face. Blanc is yes you guessed it colour but with a white background and very light / white clothing. The same emphasis is on the expression and the face.